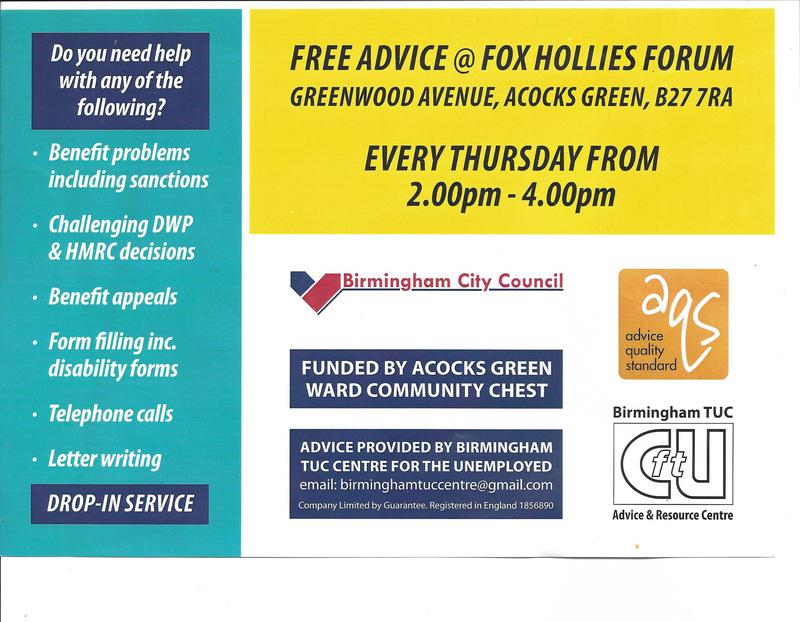 If you need advice or help with working out benefit claims, form filling or phone calls then take advantage of this new free service in Acocks Green. This entry was posted in Events, News and tagged Acocks Green, Advice, advisers, benefits, disability forms, form filling, Fox Hollies Forum, letter writing, sanctions, telephone calls. Bookmark the permalink.